Murphy Site, 23PM43 The Murphy Site (23PM43) is located in Pemiscot County in Southeast Missouri. 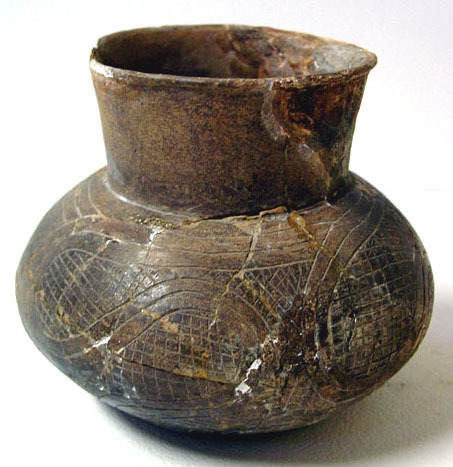 O'Brien (1994:142-175) provides a summary of the archaeological investigation of the site by Professor Carl Chapman. The platform mound at the Murphy site may be the largest man-made mound at a Mississippi town in Missouri. 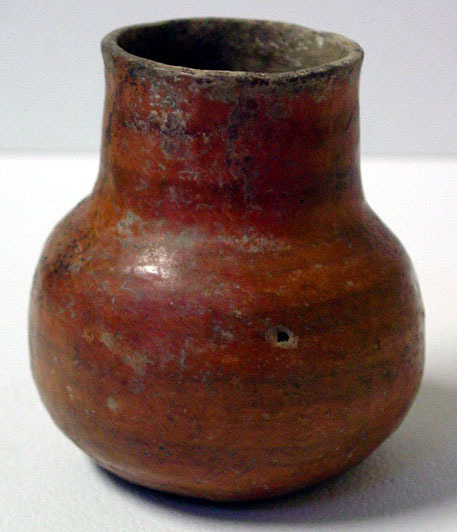 Pottery vessels forms from the site date from the Late Mississippian Period (approximately AD 1350 to 1541); a sample of these are in the University of Missouri Museum of Anthropology. 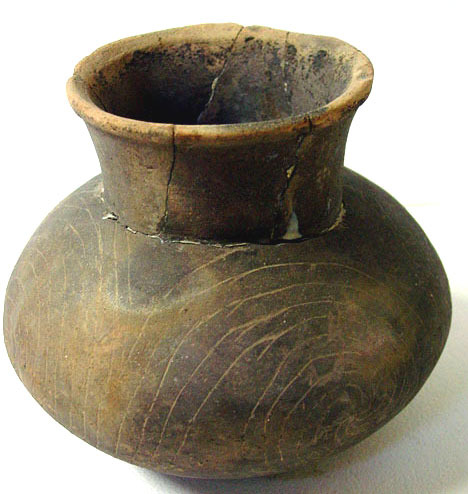 The digital images used in this webpage are based upon the artifact registration images of the Anthropology Museum. I have increased contrast, brightness and sharpened some of the images. 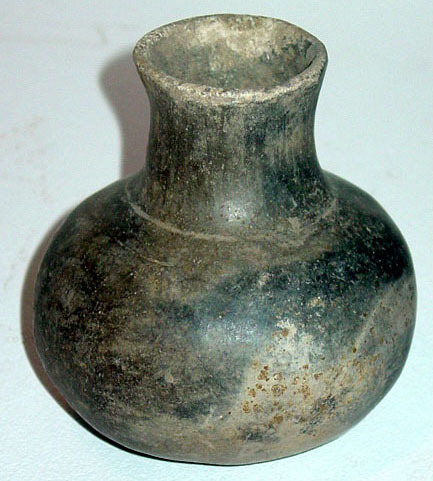 The archaeological site is located on private property and is not open to the public; it was placed on the National Register of Historic Places on May 21, 1969. 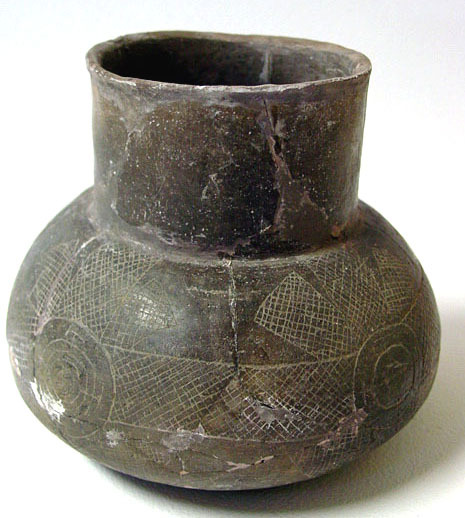 Walls Engraved vessel from the Murphy Site. 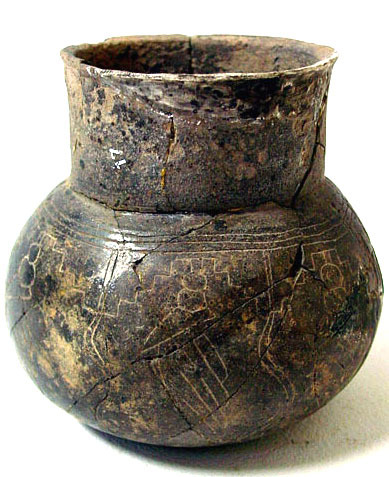 Walls Engraved vessel from the Berry Site. 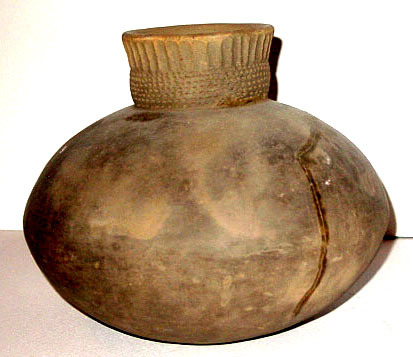 Effigy vessel in the form of a turtle from the Murphy Site. 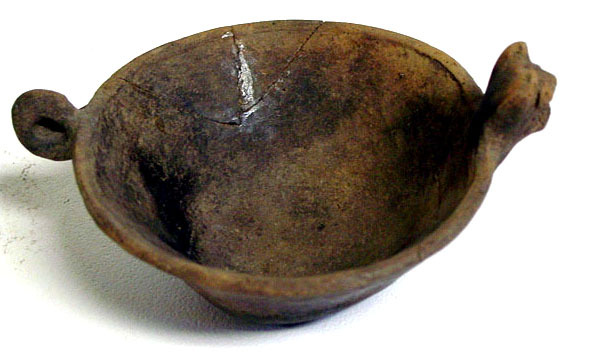 Rhodes Incised vessel from the Murphy Site. 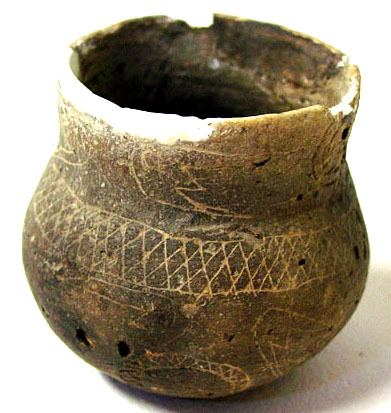 Walls Engraved vessel with a serpentine decoration from the Murphy Site. 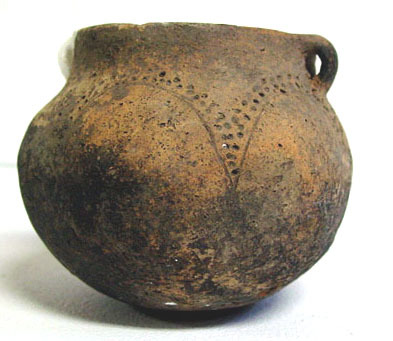 Incised vessel from the Murphy Site. 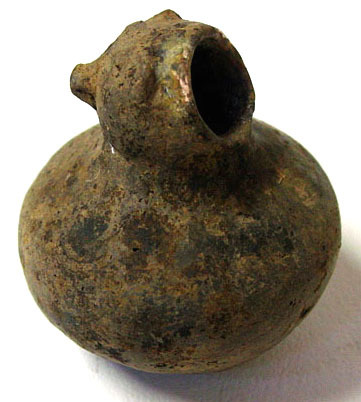 Hooded bottle from the Murphy Site. 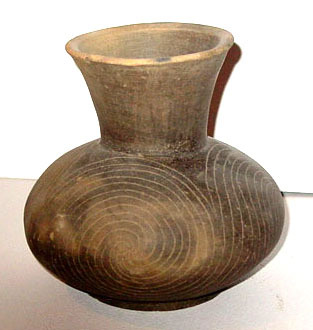 Barton Noded pottery vessel from the Murphy Site. 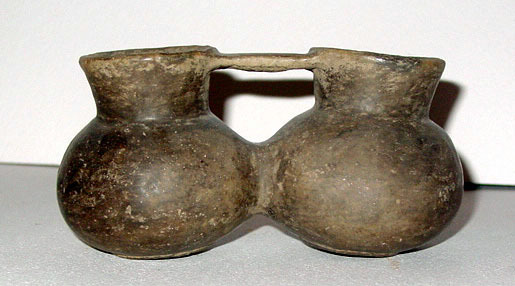 Conjoined pottery vessls from the Murphy Site. Campbell Punctated from the Murphy Site. 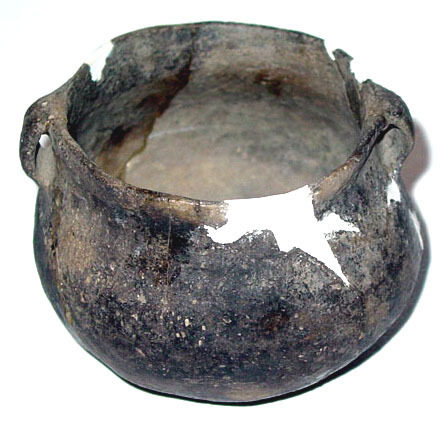 Fortune Noded vessel from the Murphy Site. 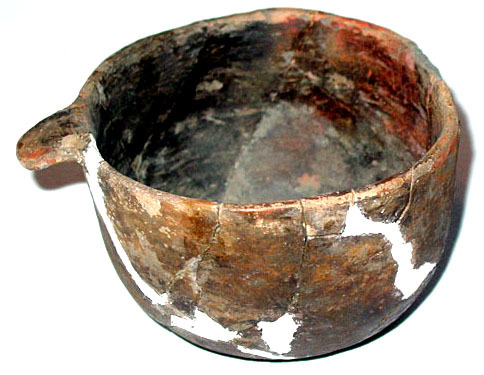 Manly Punctated vessel from the Murphy Site. Effigy vessel in the form of a owl from the Murphy Site. 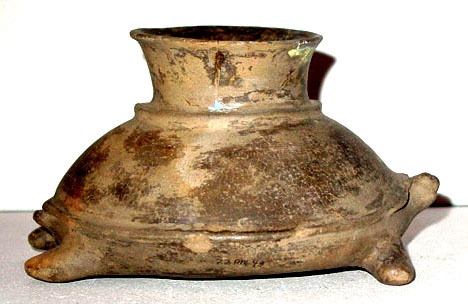 Effigy vessel with missing animal head (possibly a duck?) from the Murphy Site; Neeley's Ferry paste. 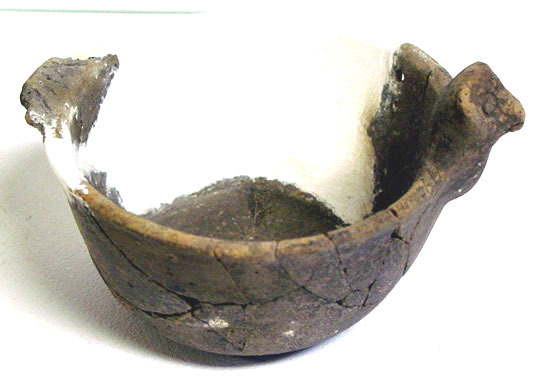 Effigy vessel with a curled tail from the Murphy Site; Neeley's Ferry paste. 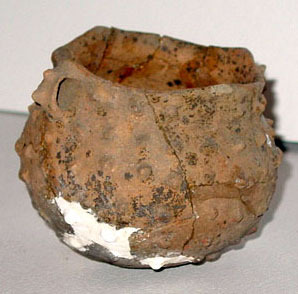 Pottery vessel with two carefully drilled holes from the Murphy Site. 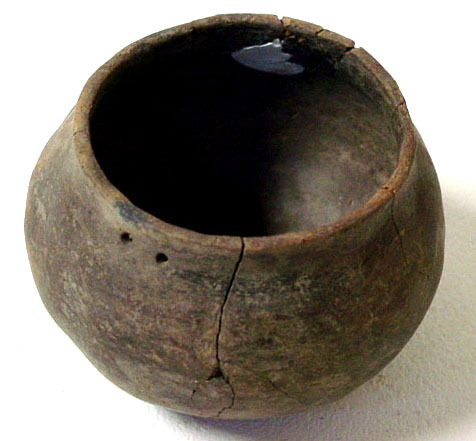 Neeley's Ferry pottery vessel from the Murphy Site. 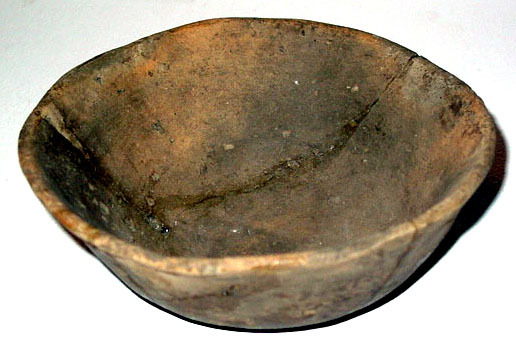 Undecorated pottery bowl from the Murphy Site. 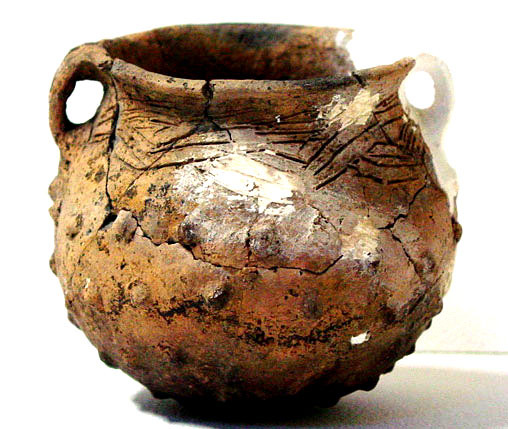 Pottery vessel with firing clouds from the Murphy Site. 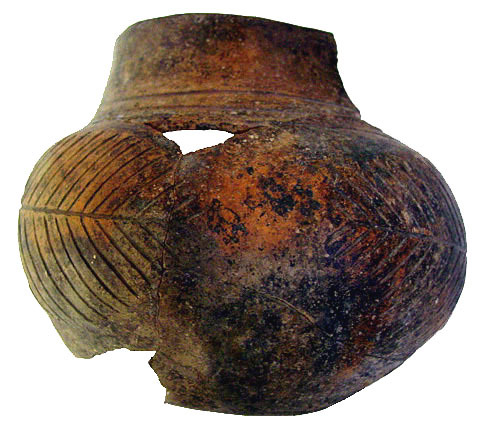 Polished polychrome vessel from Murphy Site. 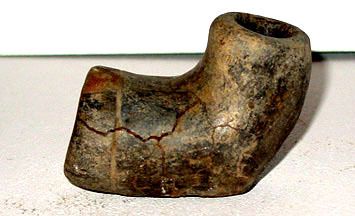 Clay pipe from the Murphy Site. 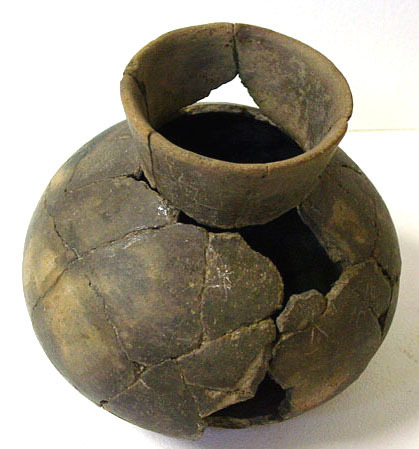 Bell Plain pottery vessel from the Murphy Site. 1994 Cat Monsters and Head Pots. University of Missouri Press, Columbia. 1998 Changing Perspectives on the Archaeology of thoe Central Mississippi Valley. University of Missouri Press, Columbia. Many thanks to Candace Sall (Associate Museum Curator at the Museum of Anthropology - University of Missouri) for her assistance in researching the records and collections of the museum. Many smiles to Ettus Hiatt for her help with text and content editing.